We arrived back at the end of February after spending a fabulous few months in Thailand with my parents. I didn’t have to wait too long to see family again, however, as just two weeks later my brother Tom and his girlfriend Sue flew out to join us for an epic fortnight exploring the North Island. 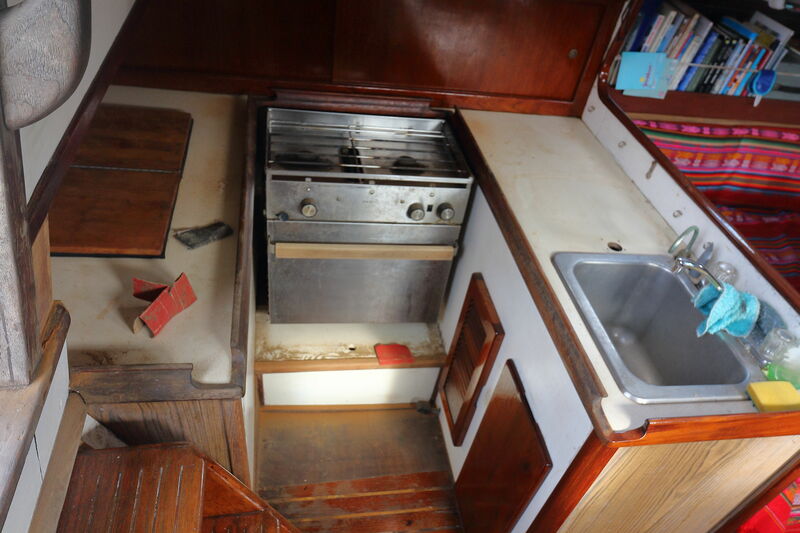 This is the galley just after I started working on it. You can see where the old wood has degraded, the counter top is very stained with various disused holes and the tap was starting to get a little corroded. This is the galley after. Actually, it’s still a work in progress as it needs painting… but you get the idea. The taps were replaced, counter top was tiled and grouted, wood was sanded and varnished (4 times) and I even polished the sink and cooker! Tom and Sue were only able to take 3 weeks off work to visit us. 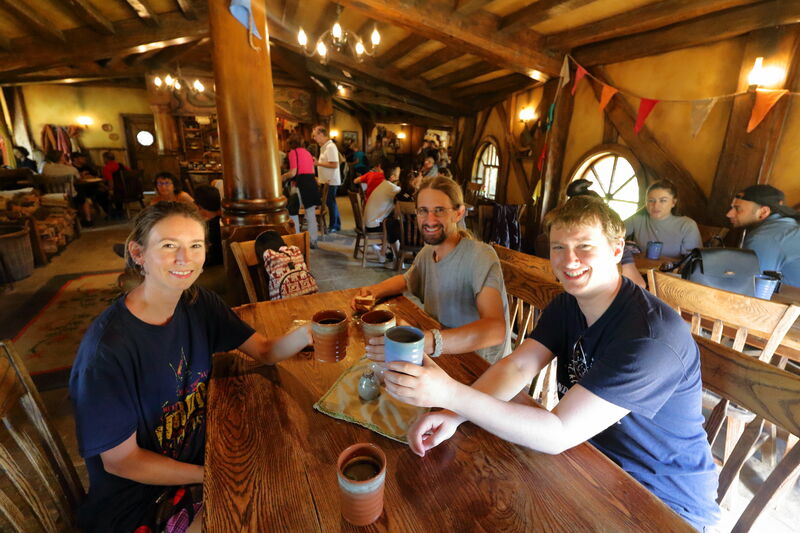 They spent at least 3 days of that time travelling on various flights, so it was VERY important to make the most of their visit and cram in as much exciting stuff as possible! I think we succeeded. 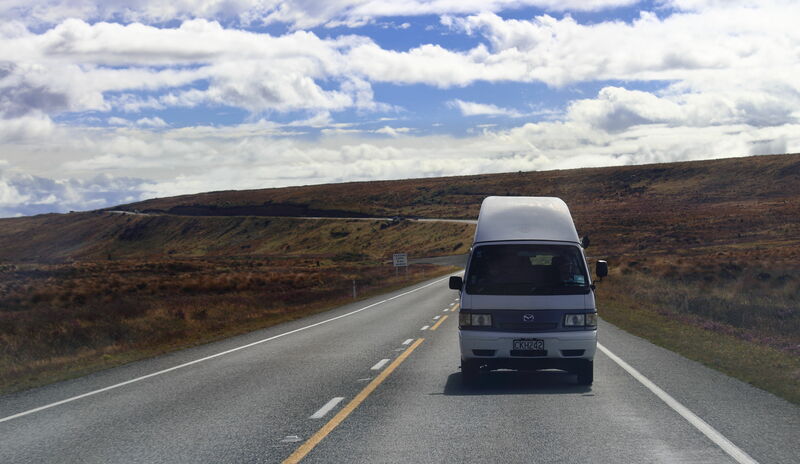 It’s possible to see a lot of the North Island in just over two weeks when you put your mind to it, and it has a LOT to offer. 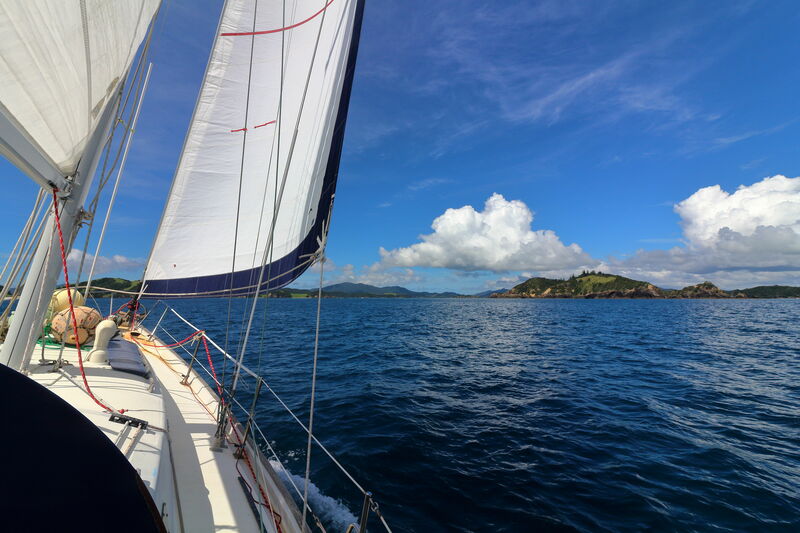 The best place to sail in the whole of New Zealand is thought to be the stunning Bay of Islands with its tranquil warm waters (well, warm in comparison to the rest of the country) and impressive green islands protruding from the depths. 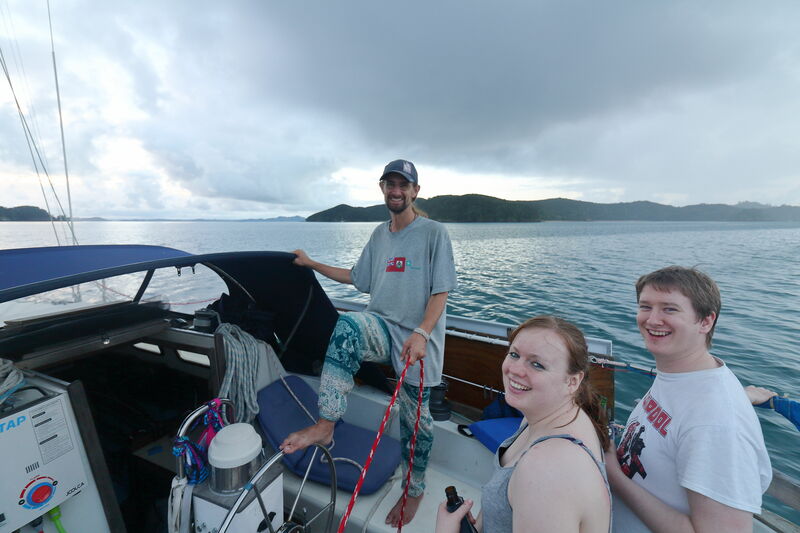 The four of us spent a couple of nights on the boat and luckily had absolutely perfect weather for a few day sails around this spectacular group of Islands. Sailing through the Bay of Islands on a lovely sunny day. The group on Bob, minus photographer of course. 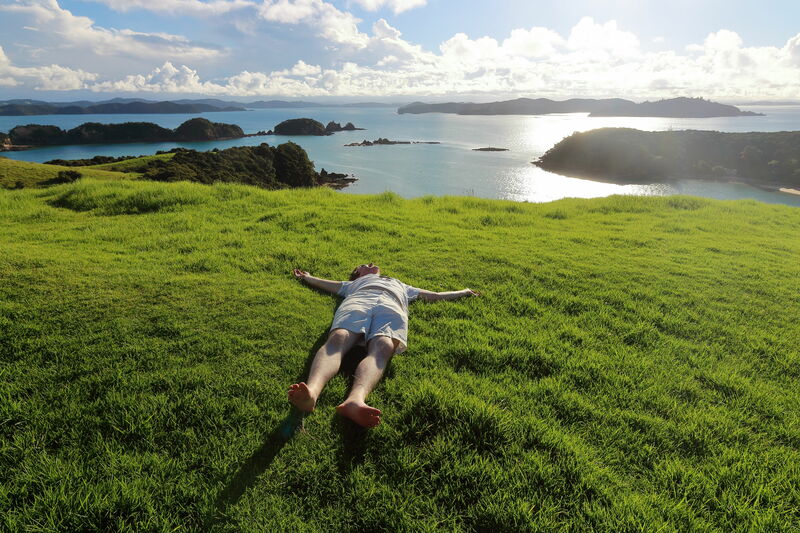 Tom was exhausted after our loooong 20 minute hike to the view point on the elaborately named island of Urupukapuka. 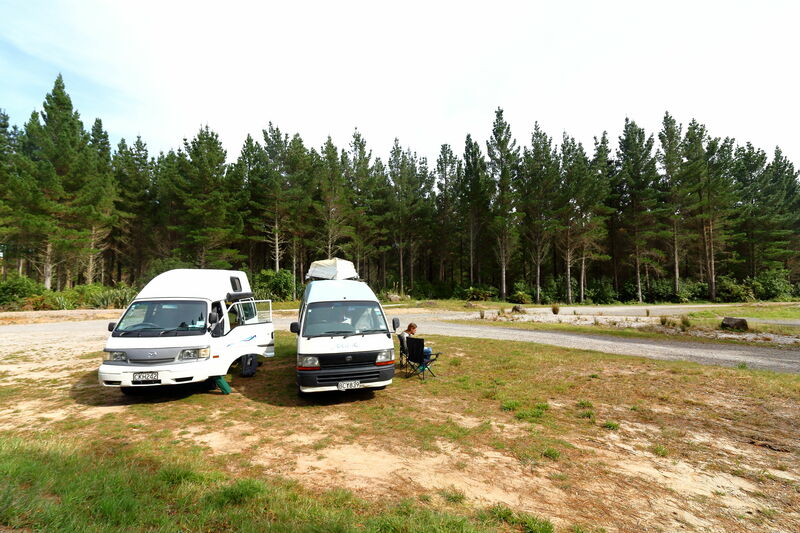 We moved into our camper vans after the boat trip. Alex and I into Jacangi while Tom and Sue moved into their hired camper ‘Shadowfax’. Any Lord of the Rings fans will know the significance of that name as being the name of the horse belonging to Gandalf the wizard. 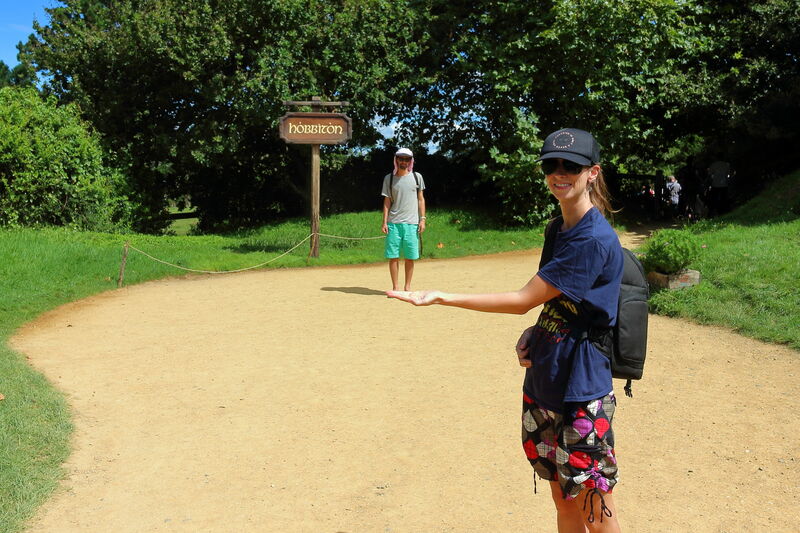 What better way to explore the very land where Lord of the Rings was filmed than on Shadowfax! Although Tom quite rightly pointed out that perhaps the name was a little unfitting as Shadowfax is supposed to be the fastest horse in middle earth – their camper van on the other hand is about as fast as a tortoise on a treadmill. Just like the tortoise, however, we were able to take our time and enjoy some of the enchanting wilderness of this stunning country. It’s a wonderful thing to be able to take your home with you as you travel and enjoy many familiar comforts in unexplored territories. 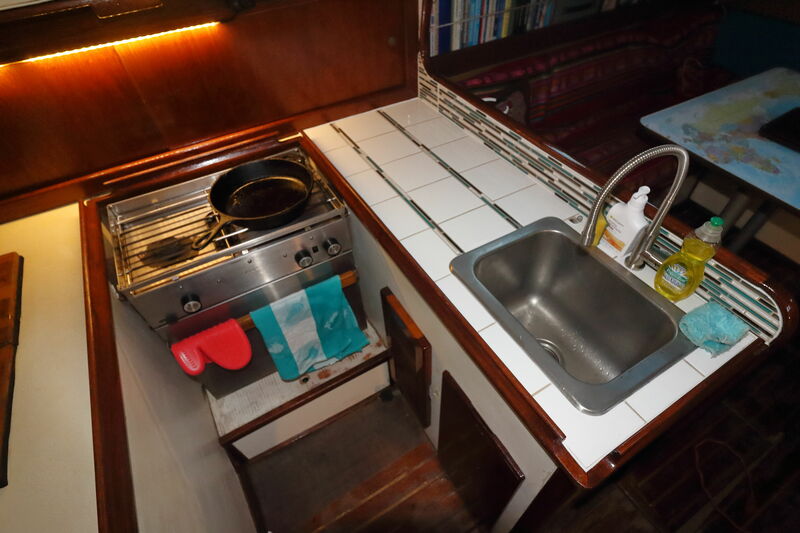 As with boats, motor homes also require a lot of upkeep and we had to be constantly aware of our water and power usage. Toilet breaks had to be properly planned and dumping of waste water in appropriate locations had to be considered. This particular aspect was something new for all of us and sometimes proved to be a bit of a challenge, as Tom demonstrated when he accidentally emptied the contents of the toilet all over his hand! Don’t worry Tom, a wise man once said that the most valuable lessons in life are usually the most challenging ones. Freedom camping near Matamata at one of the Department of Conservation sites. As huge Lord of the Rings fans, Tom and Sue were finally able to fulfil their lifelong dreams of becoming hobbits. 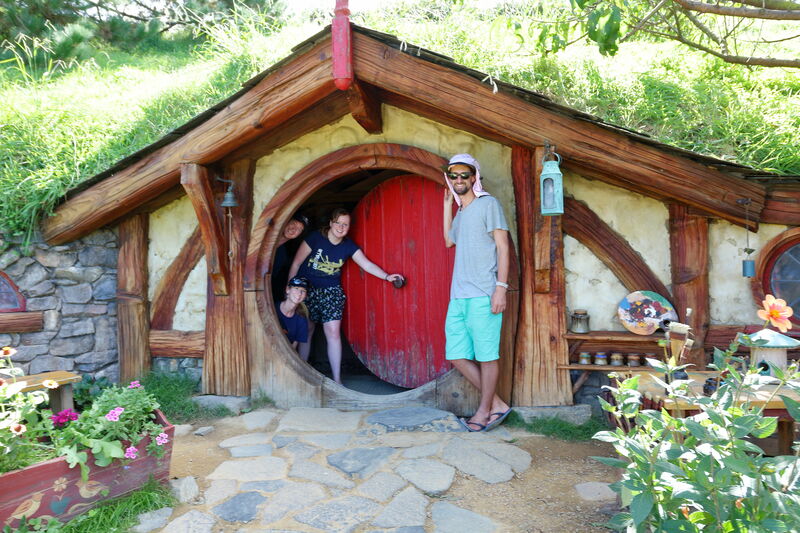 We of course were more than happy to join them in the fun as we visited the charming Hobbiton film set. The set is now a popular tourist attraction and the grounds are immaculately maintained. Very well done to the four gardeners who do a super-human job keeping the grounds looking vibrant and lush all year round. A hobbit hole complete with its beautiful garden. 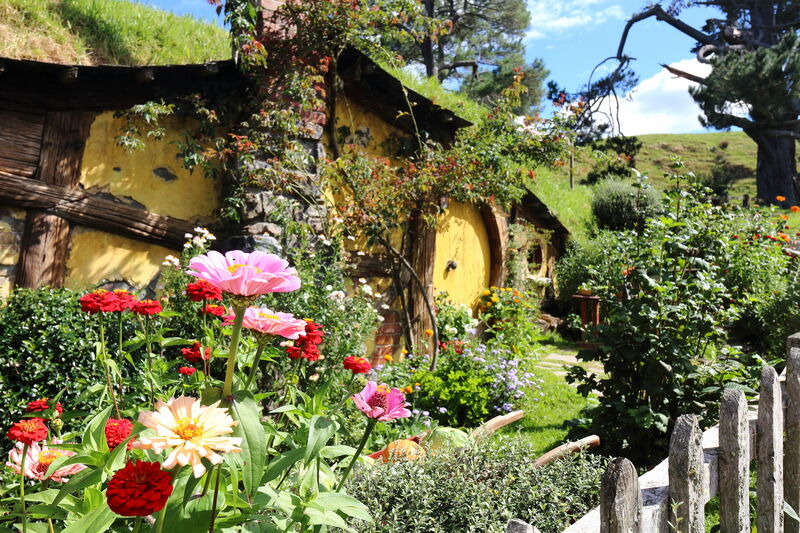 You ACTUALLY become a hobbit in this magical place. Exploring the enchanted hobbit holes. Enjoying a drink at The Green Dragon. 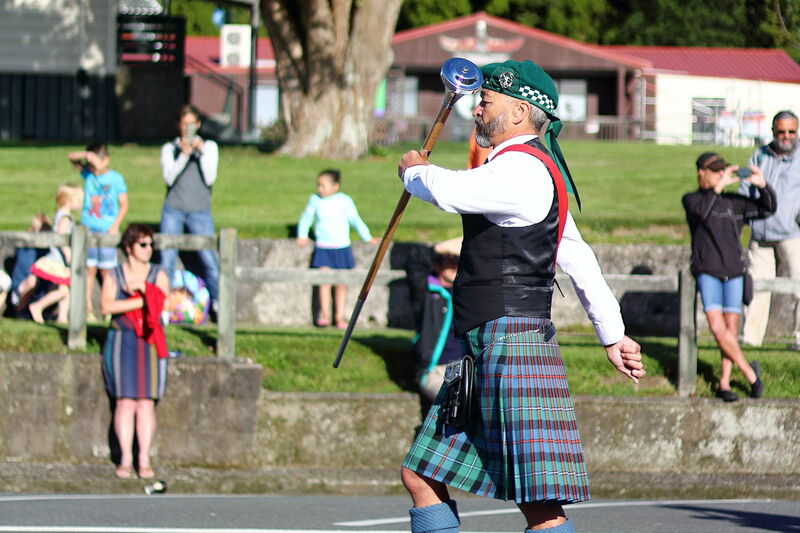 We spent a night camping by the lake in Rotorua, only to be abruptly woken up at about 7am to the sound of bagpipes! 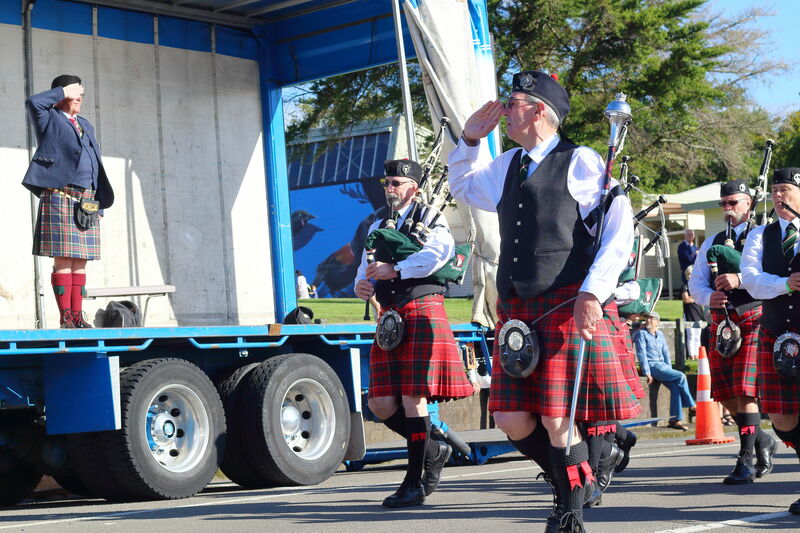 As time went on the more bagpipes started playing. 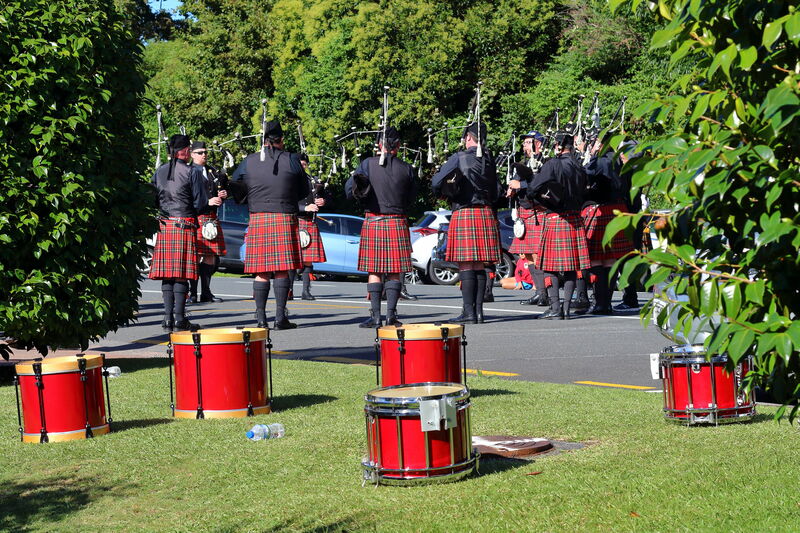 Not able to ignore the sound any longer, we stuck our heads outside and to our amazement we could see at least 5 bagpipe bands (all fully kitted out in the proper Scottish attire) playing instruments in various streets and car parks in the vicinity. 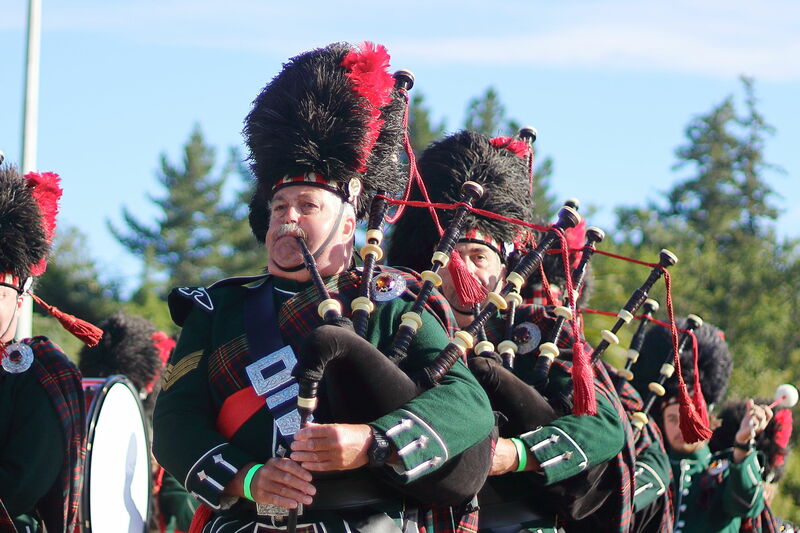 It turns out that the National Bagpipe Championships were being held in Rotorua that day and everyone was practising for the upcoming parade – what a wonderful and fortunate surprise! Practising in the streets of Rotorua. Here are a few snaps during the parade. I know Scottish music isn’t renowned for it prowess but I promise you they all sounded and looked amazing! I guess they were the best in the country. 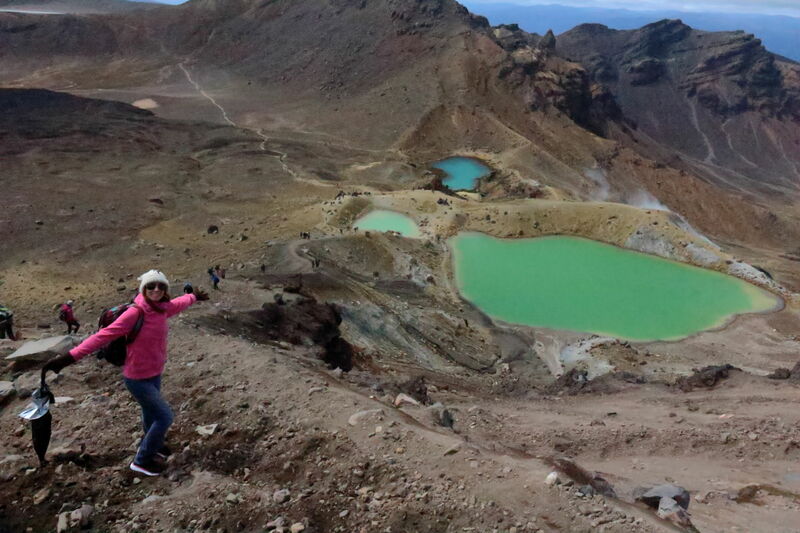 Some of New Zealand’s active volcanoes are located in the region around Rotorua and Taupo and have led to some truly amazing natural wonders. 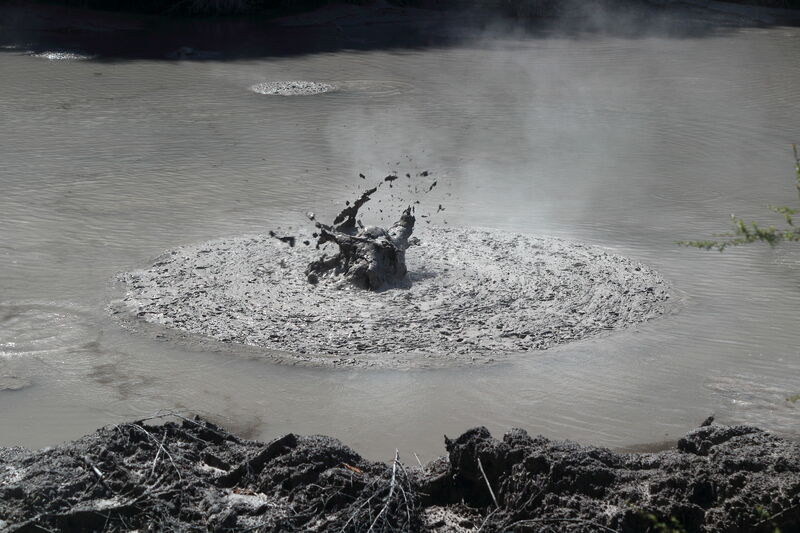 Scalding hot water, bubbling mud pools, serene hot springs and explosive geysers are all products of volcanic activity deep beneath the earth’s surface. 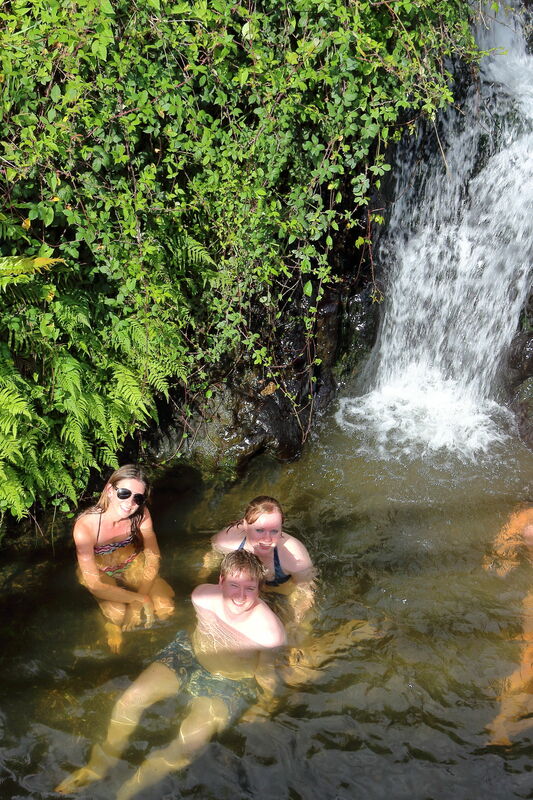 Having a dip in the natural hot waters of a hot spring near Taupo. The temperature is about 40 degrees Celsius – perfect bath water temperature. A mud splat at the bubbling mud pool near Rotorua. There was an entire pond like this – just amazing! 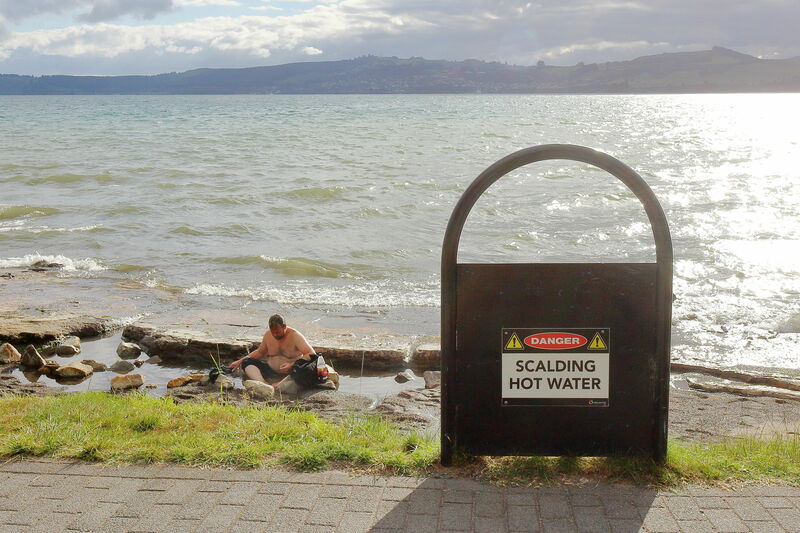 A hot water beach with a man bathing in the apparently ‘scalding’ water. It was a bit chilly at the time so I was quite envious of him. 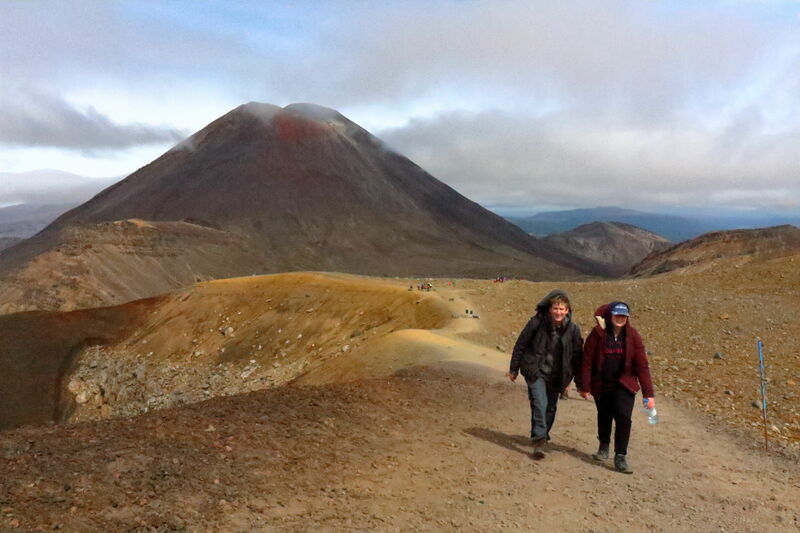 The Tongariro Alpine Crossing has been voted as one of the best day-hikes in the world. It spans the oldest National Park in New Zealand and crosses adjacent to the peak of Mt Ngauruhoe – an active volcano better known as ‘Mount Doom’ from Lord of the Rings. The track covers rare alpine landscapes, babbling streams, luminous turquoise mineral ponds and violently boiling pools of sulphurous water. These natural wonders are combined with amazing views of awe-inspiring scenery. Who knew Mordor was so pretty?! Tom and Sue on the climb to the summit of the crossing. 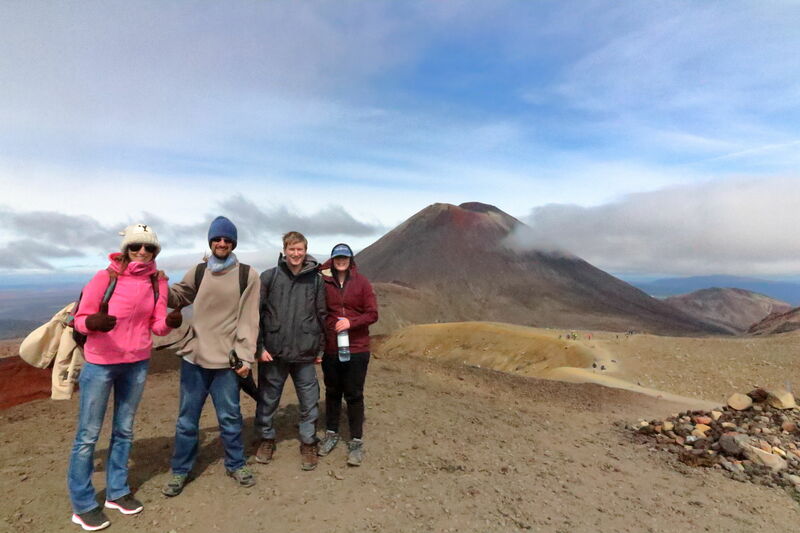 You can see Mt Doom (Mt Ngauruhoe) in the background. Unfortunately, I stupidly had my camera on the wrong settings so these photos are not so good. Tom took some better ones which I’m hoping he’ll share with me soon. The turquoise mineral pools of the crossing. You can also see the steam from the boiling pools to the right of the photo. After four hours of uphill hiking we finally made it to the top! Hurrah! 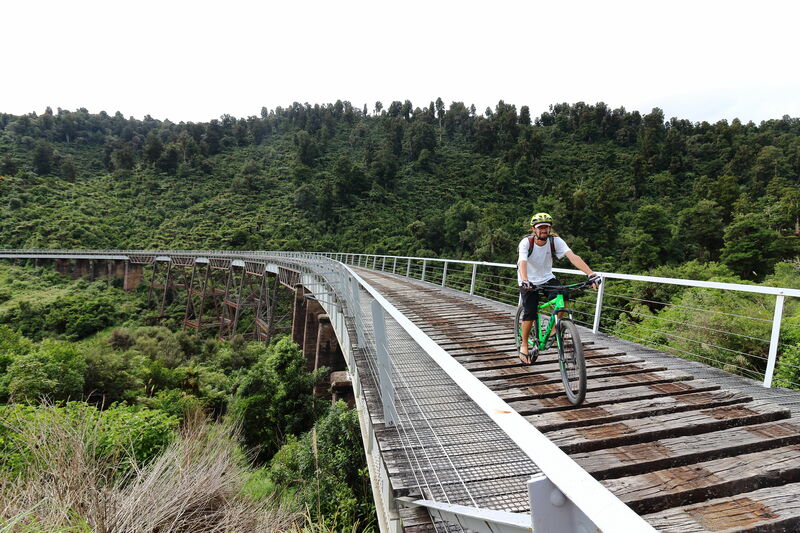 We decided to do a bike ride over the Old Coach track in Ohakune. 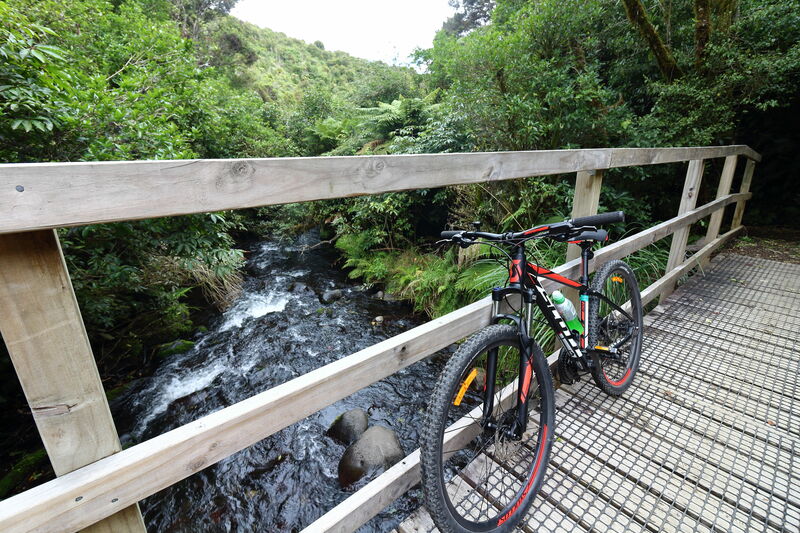 This trail covers areas of historical significance and passes over some wonderful old viaducts, bridges and tunnels as well as through beautiful native bush with stunning views. The locals have done a fantastic job at restoring this trail and have installed a lot of information boards along the way. It also has the bonus of being mainly downhill. Unfortunately this only served to highlight my unfitness as I still spent most of my time struggling to haul myself and my bike through the uneven terrain. Still, I thoroughly enjoyed the challenge. Admiring the lovely stream while having another quick rest during the bike ride. The old viaduct on the Old Coach Road cycle track. It’s a lot higher than it looks! 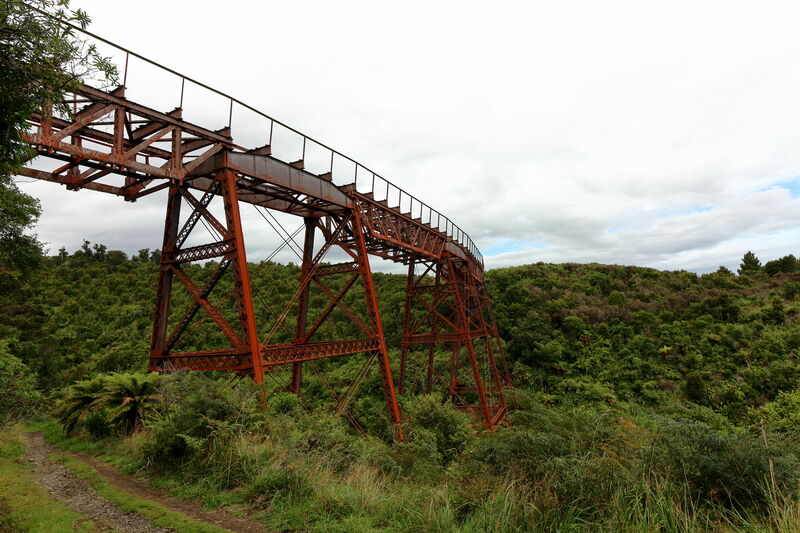 In fact, it was one of the first places in New Zealand to bungee jump from – until killjoys… erm… I mean ‘health & safety legislation’ put a stop to it. Another old viaduct on the journey. There are three in total. There were a number of other highlights along the way which of course added to the whole experience. We enjoyed the sun filled afternoons in the outdoors with cold beers and board games. The Milky Way was prominent on clear nights, it’s vastness never ceasing to amaze. There were also treetop adventures at Adrenaline Forest, which is like GoApe but even more intense. Tom and Sue (being a little more flush than us at the time) also splashed out on a white water rafting experience and a cave tour to see some glow worms. 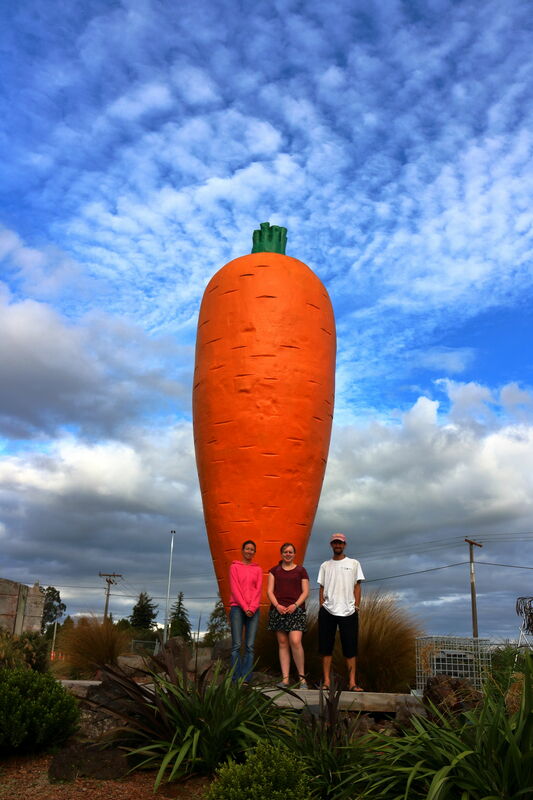 Oh and I can’t forget about The Big Carrot – one of New Zealand’s finest attractions. 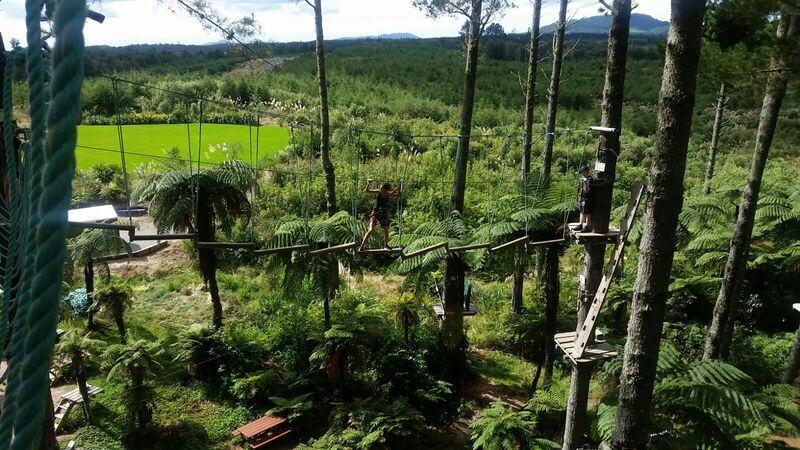 One of the easier obstacles at Adrenaline Forest in the Bay of Plenty. I’m told the views were wonderful, but I was too scared for my life to notice. We weren’t able to watch Tom and Sue on their white water rafting adventure as we were busy doing laundry. We did, however, get another opportunity to watch some brave people fall down a waterfall in a bright yellow inflatable tube. This is what they looked like and how I see Tom and Sue in my minds eye during their experience. 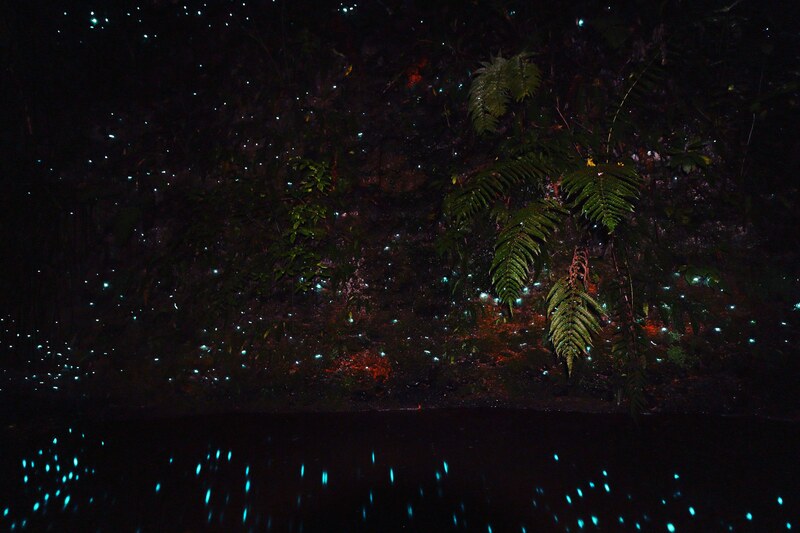 The photo of these glow worms were actually taken near our friends house (Alexa who we originally met in Niue and her boyfriend Blair) after Tom and Sue had already left, but it’s similar to what they must have seen on their tour. Tom and Sue flew back to the UK at the end of March while Alex and I have continued to drive south to visit friends and explore more of New Zealand. It’s always heartbreaking to say goodbye to those you love, not knowing when you’ll next see them again. Hopefully next time won’t be quite as long. It reminded me of just how many people I care about who I’ve not seen in far too long. We still have the rest of April to enjoy our road trip, so there’s still time if anyone else would like to join us! Anyone tempted….? Great post, we had such an amazing time and that’s not even all of it! 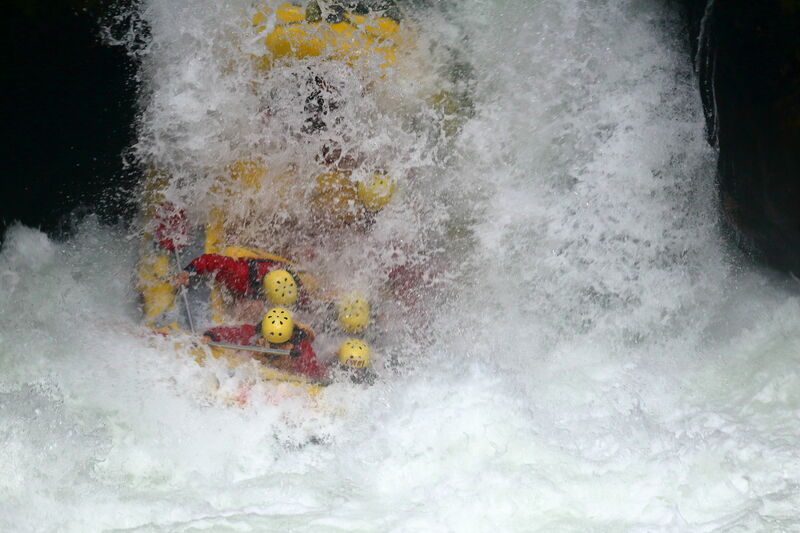 Looking forward to doing it again some day and can’t wait for a blog about your south island adventures. LOOKs like great fun! Hope you didn’t get road sickness!